So, recently I reached out to Chris "Pepper" Stanley for an idea I had regarding the Bennington Show Thanksgiving Special at the Hard Rock Cafe in Times Square on Tuesday, November 14th (on SiriusXM). 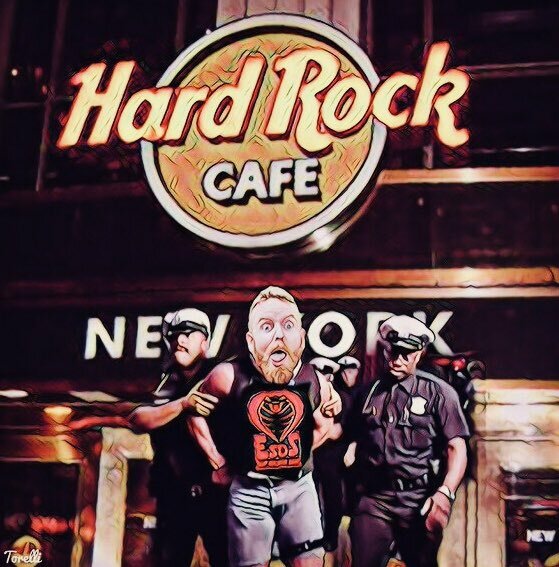 I was told by Pepper that Ron would love for me to be a part of the show........but that DON WICKLIN (some suit-wearing, unfunny, boring, uninspired, non-creative, little, program-directing weasel) would have me ARRESTED if I tried to enter the Hard Rock. Why? I have no idea. I know that Don claims that I threatened him via email once...which is, quite simply, a lie. I called him "a cockroach." That hardly qualifies as threatening someone. This is the type of corrupt bullying tactics that SiriusXM has utilized for years and continues to use. Enough is enough. Stand up to @DonWicklin and @SiriusXM on Twitter...and cancel your SiriusXM service immediately. Thank you in advance.